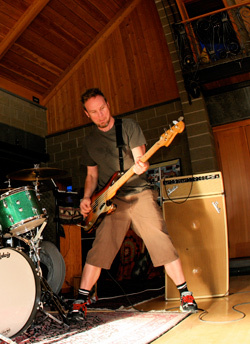 Jeff Ament, most widely known for his current band, Pearl Jam. Often teamed together throughout his career with Stone Gossard, he's played important parts in bands such as Green River, Mother Love Bone, Temple of the Dog, Three Fish and Brad. Ament, grew up in the town of Big Sandy, Montana where his father was mayor for fifteen years. Ament described his family growing up as "pretty poor" and "hard-core Catholic." Jeff started playing the bass guitar as a teenager and went to college at the University of Montana in Missoula, where he studied art. Ament quit college in the middle of his sophomore year after the school told him they were no longer going to carry its graphic design program. Ament then relocated to Seattle in the early 1980s. 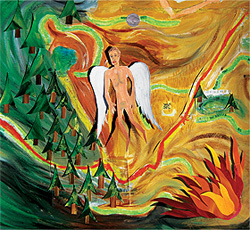 “Tone” features ten original tracks by Jeff Ament, culled from more than fifty-plus “works in progress.” Click To Buy It!